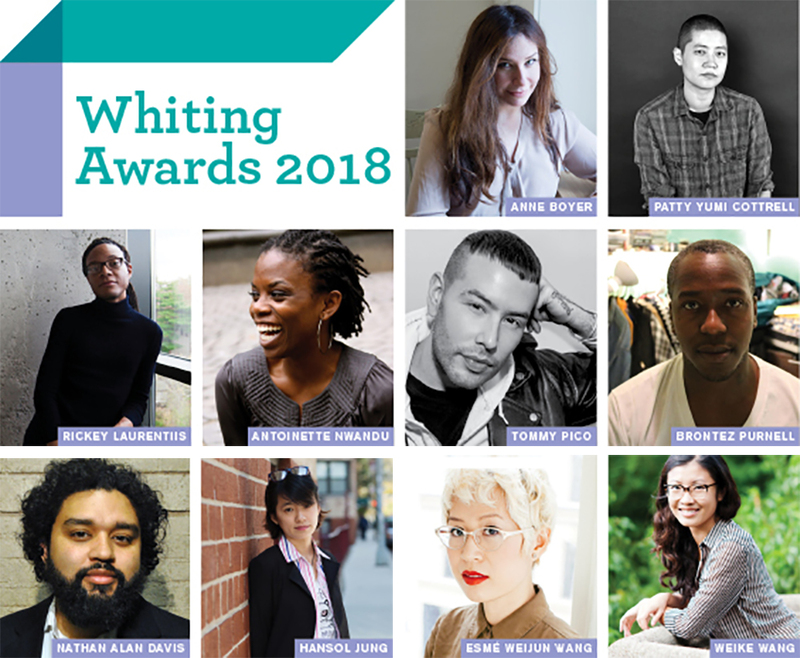 We’re proud to have selected writing from all the Whiting honorees, too. Click each name above to read on—you’ll discover work by some of the best writers of their generation, astonishing in its breadth and depth. Congratulations to this year’s honorees! For more great writing from past recipients, check out our collections from 2015, 2016, and 2017 winners.